The overwhelming feeling that emanates from BUSBY MAROU is joy and soon they'll be bringing that joy and the Summer vibes to The Kingy on March 16 from 7pm. The overwhelming feeling that emanates from BUSBY MAROU is joy. Tom's playful onstage presence combined with Jeremy's freakish instrumental ability has cemented their reputation as one of the most loved live bands to come out of Australia in recent times. 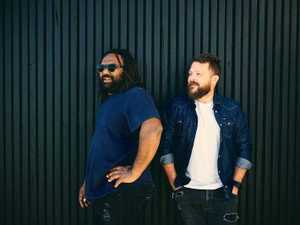 They have created a completely unique vibe based on Tom's everyman's approach to story telling interspersed with Jeremy's guitar virtuosity. They sell out shows everywhere from Surry Hills to Cairns and have an incredibly loyal and diverse following. BUSBY MAROU have recently released their latest single "Sound Of Summer" produced by Oscar Dawson (Alex Lahey/Holy Holy). This is the first single from album 4 which will be recorded in February and released in mid 2019.